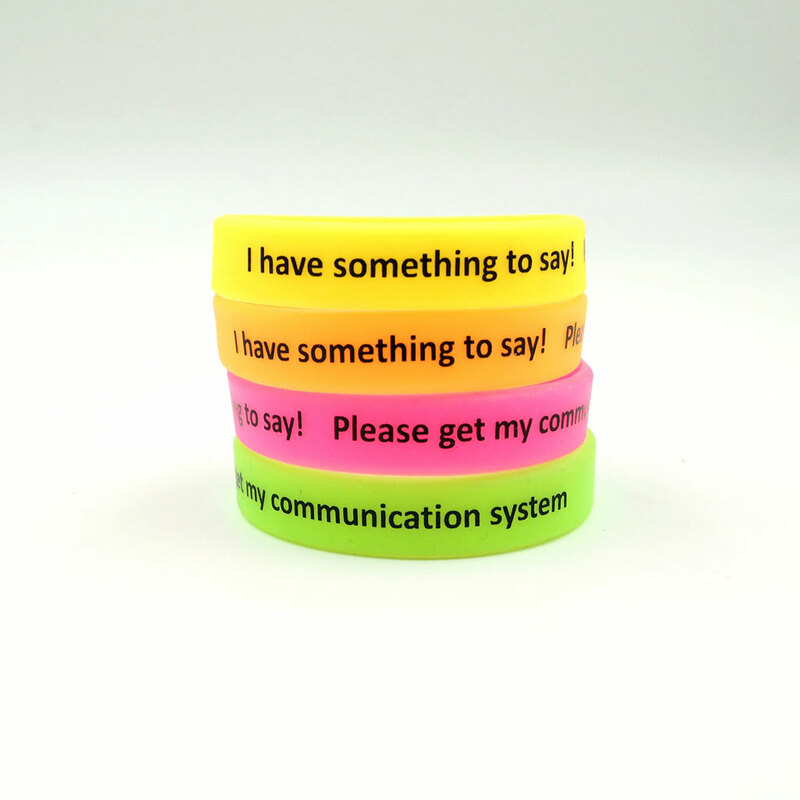 Whether you use a PODD, Proloquo2go on the iPad, or another AAC system (communication device), with these wristbands you can raise your arm to tell someone that you “have something to say” and that you need your communication system. Hey! How do you get someone’s attention if you can’t call out? How can you tell someone that you don’t just want to smile, or that you aren’t just stretching, but that you actually raising your hand on purpose because you want to start chatting? 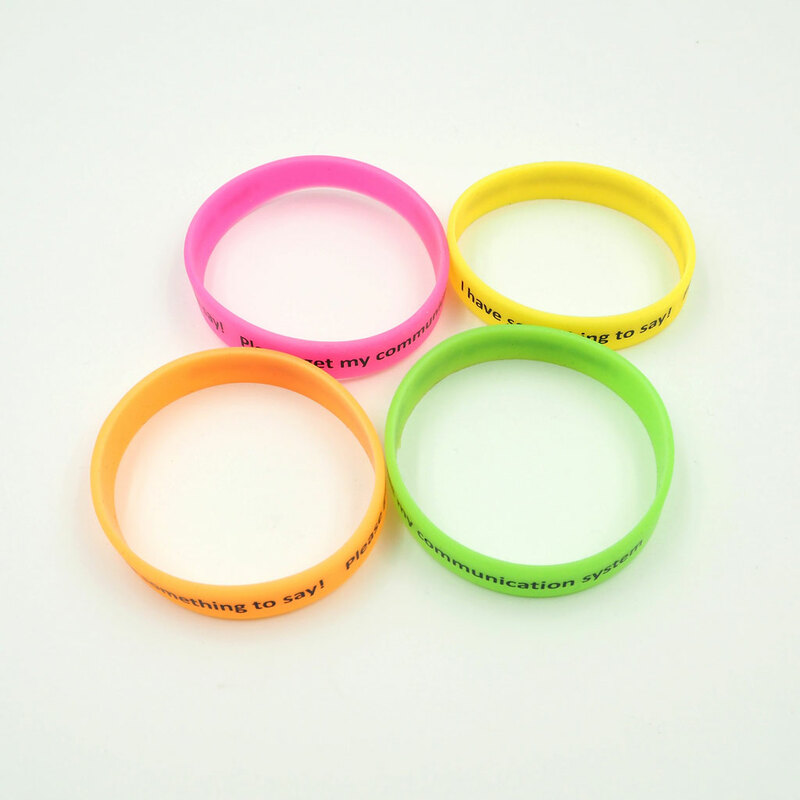 Whether you use a PODD, Proloquo2go on the iPad, or another AAC system (communication device), with these wristbands you can raise your arm to tell someone that you “have something to say” and that you need your communication system. As a parent, teacher, carer or therapist, you can teach initiating by wearing a band and modelling when you “have something to say” too. The product is warranted for quality manufacture and fit for purpose. Warranty expires upon receipt of delivery of product. Check the product for any defects before use. Report any defects immediately and return to Novitatech and do NOT use.